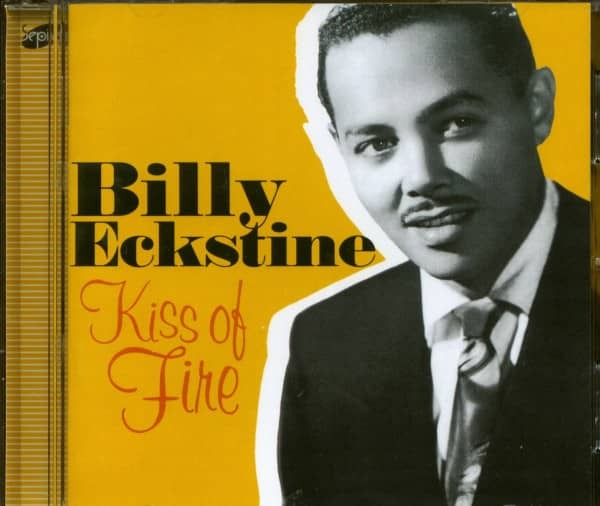 Although Billy Eckstine was coined 'the sepia Sinatra' by the trade papers of the late ‘40s and early ‘50s for his many lushly produced, sensuously sung hits on MGM, he was no stranger to vocally pushing along an uptempo chart. His revered but under-recorded big band of the mid ‘40s was a proving ground for such trailblazing practitioners of be-bop as Dizzy Gillespie, Charlie Parker, Miles Davis, Art Blakey and Dexter Gordon. Billy handled the vocals on workouts such as I Love The Rhythm In A Riff and Blowing The Blues Away with verve and hot-scatting authority. 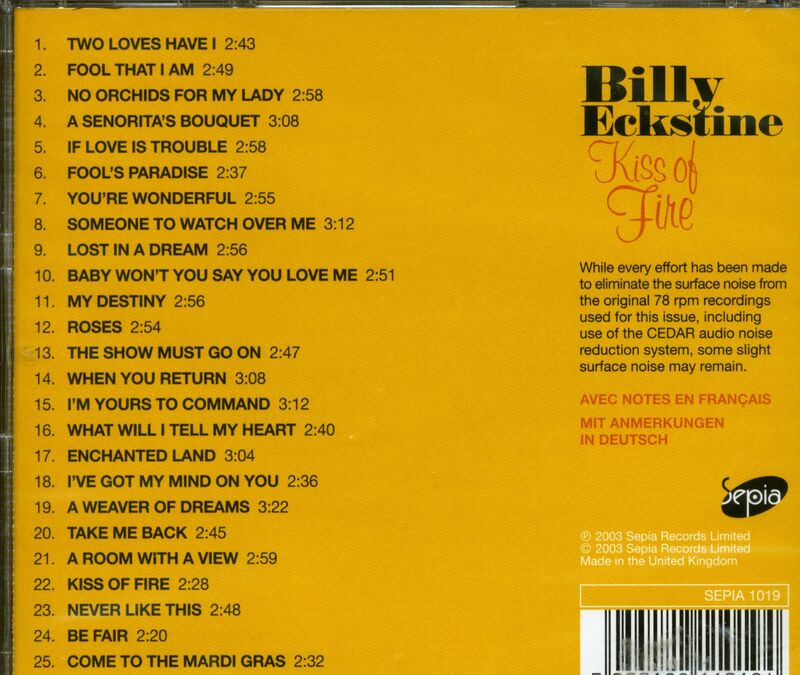 That's the case on this 1956 recording of The Tennessee Rock And Roll, no doubt put on Billy's music stand in the studio by his producers/A&R men who were trying their best to keep up with the ongoing rock 'n' roll tsunami. While the band cooks and boils, Billy professionally takes on the so-so song and turns in a solid, convincing vocal, effortlessly navigating through the sometimes awkward phrasing of the lyrics. By the end of the tune, you might find yourself wanting to do The Tennessee Rock And Roll right along with him. 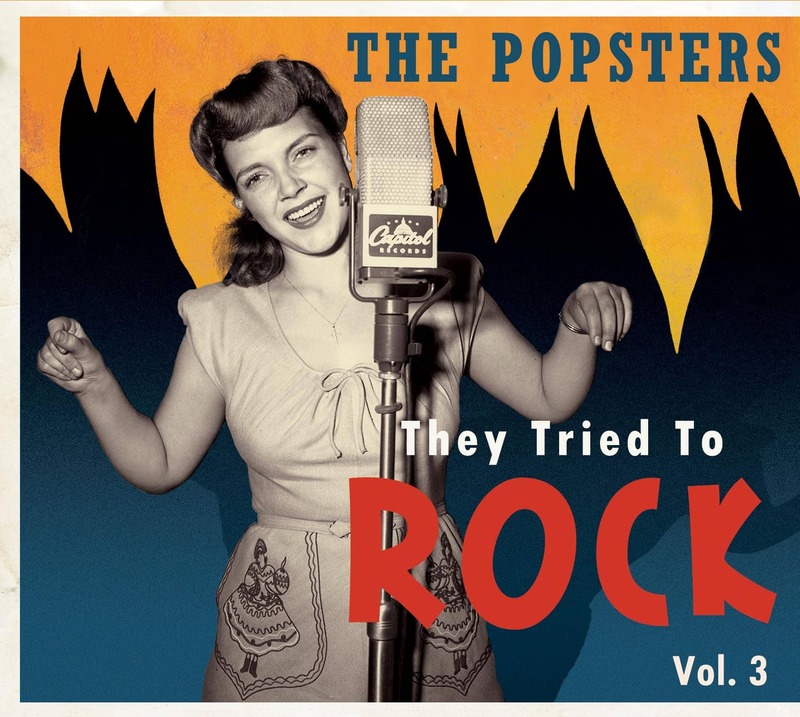 Check out 'The Hillbillies: They Tried To Rock, Vol 1'for Bobby Helms' version of The Tennessee Rock And Roll to get an idea of how a hillbilly hit-maker and a top- rated jazz singer tackle the same song. Kundenbewertungen für "Kiss Of Fire (CD)"